Minions, the lovable yellow creatures that first appeared in the movie Despicable Me, have captured the hearts of many all over the world. 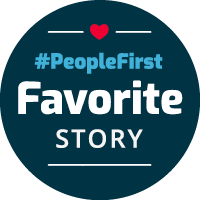 But their biggest fan might be Choice customer, Karen Fisk in Belfield, North Dakota. 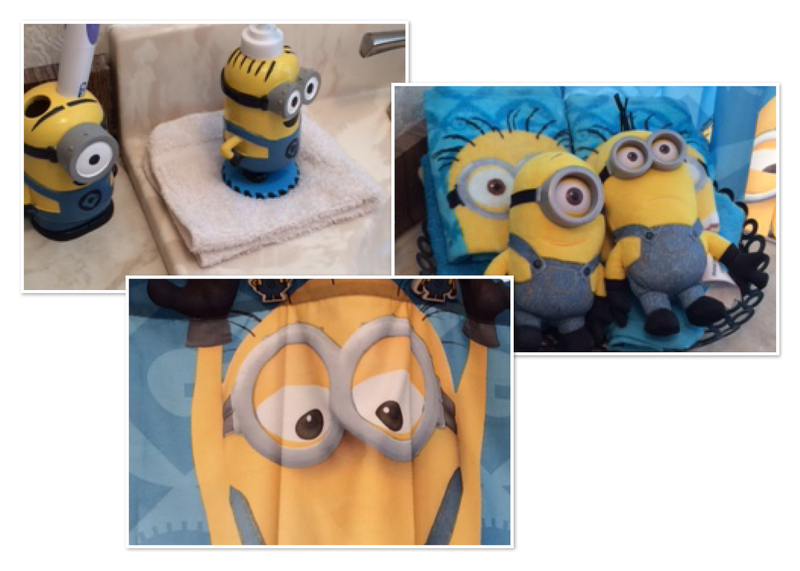 Step into Karen’s house and her fandom is immediately apparent; she has everything from a Minion shower curtain and minion toothbrush holder, to a Minion thermos and Minion tote bag. She wears Minion t-shirts, and even dressed up as a Minion for Halloween last year. 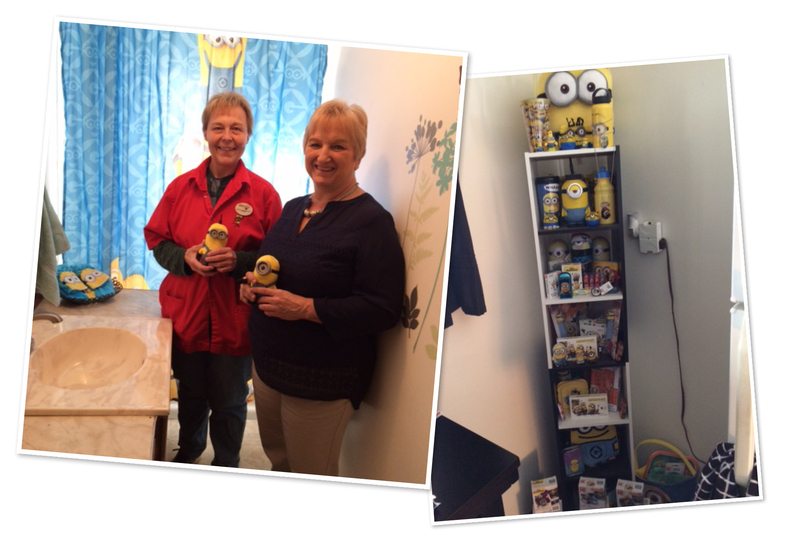 “She is definitely a Minion lover,” said Janet Lindbo, Front Line Specialist at the Belfield location. Janet has known Karen for over eight years, ever since Karen moved back to Belfield to care for her ailing grandmother. She was there when her grandmother passed away, and Karen started working at a Superpumper’s not far from the bank. Dropping off the deposits made Karen’s trips to Choice more regular. Soon everyone knew her for her spirited personality. Karen has seen her own trials too. As a single mom, she works hard to provide for her child. Last summer, she underwent knee surgery and was hospitalized for days. Through it all, Janet and her team at Choice have reached out in little ways. During her surgery, Janet and Choice teammate Patty Hutzenbiler sent her a gift card for her favorite local restaurant, where the three will grab a drink and play darts. But the gift that Karen still talks about today came about this summer, in late August. Janet was shopping at Wal-Mart when she came across a collection of small stuffed Minion characters. Her thoughts jumped to Karen. “I knew if we bought them and set them in the window, she would notice them,” Janet said. She bought three of the palm-sized toys with their signature googly eyes and yellow color. She and Patty propped the minions up carefully in the window sill, right by where Karen usually came to watch them count the money. When Karen walked in later that day, she spotted them right away. “Oh what cute Minions!” she said. Janet and Patty grinned. “They’re for you!” they said. “Really?” Karen asked. She couldn’t believe it. She went home that day and added the Minions to her bathroom shelf. To this day, she talks about her Minions whenever she visits the bank. 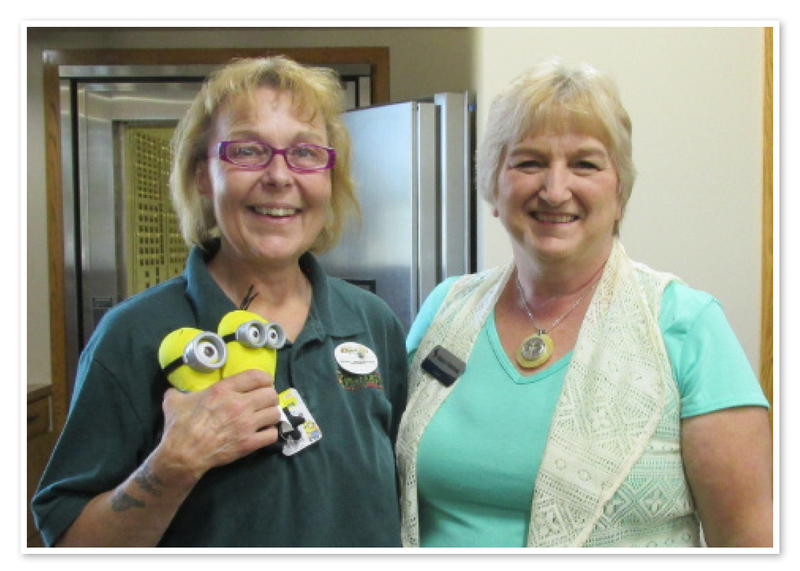 Gifts like the Minions are one way Janet lives out Choice’s core values, particularly to “work hard, do the right thing and have a little fun.” While the Minions may be just the size of a handprint, their heartfelt impact was visible that day. Without farmers, you would not be reading this.